Thunderbird to Outlook Converter Tool is a trouble free method to convert all the data of Thunderbird to Outlook. 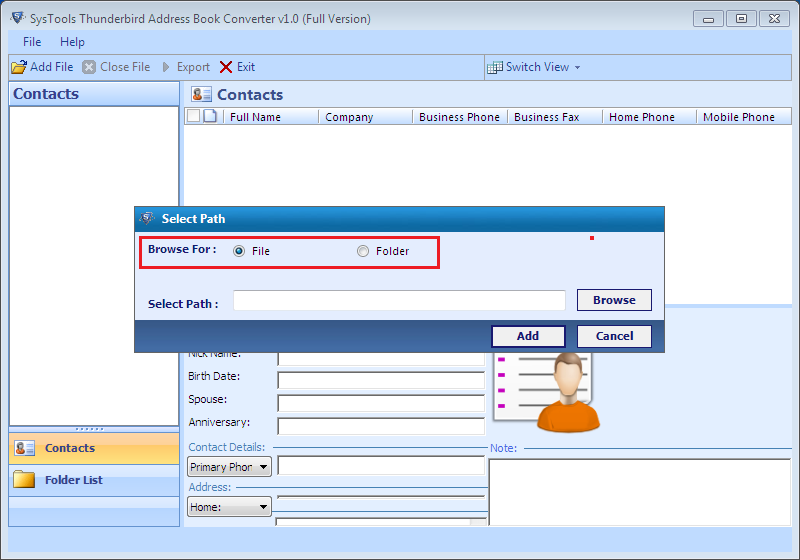 The converter supports Thunderbird files and converts them into Outlook file format. It does not require the installation of MS Outlook application on the device. Preview of emails in Thunderbird with the attachments. Various options to view and manage folder list. Demo version converts only first 25 items per Thunderbird files to Outlook. Thunderbird files are used in various organizations for work purposes. However, there are some issues related to Thunderbird files. One of the major issues which cause corruption in these files is exceeding the file size limitation. As, all Thunderbird emails are stored in one common file format it is possible that the size of the file goes beyond the restricted limit, which leads to corruption. To overcome the limitations related to Thunderbird files, the need of the conversion arises. Thunderbird to Outlook Converter tool is the most trusted utility for those users who want to switch from Thunderbird file format to MS Outlook. This tool facilitates conversion along with the maintenance of data originality. 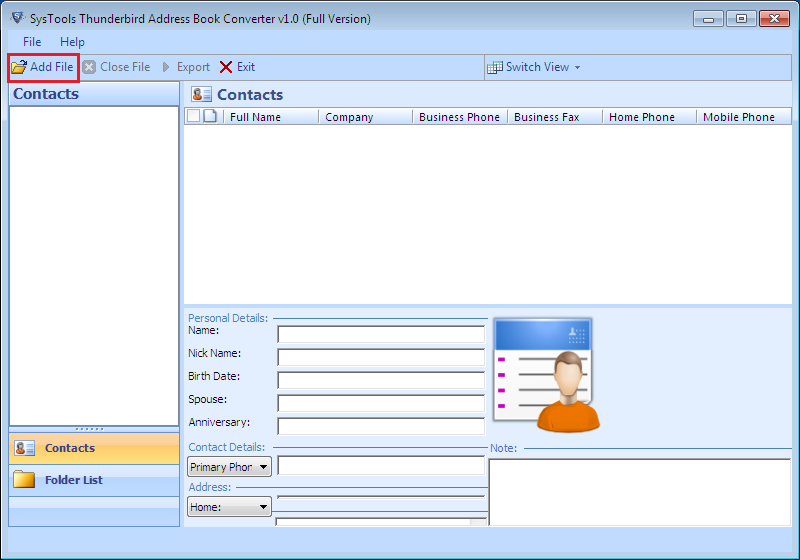 Moreover, there is no need to install Outlook in the system to start the conversion. Thunderbird to Outlook is a trouble free email conversion software has gained worldwide popularity because of its capability to convert Thunderbird files to Outlook. Can I convert all Thunderbird files in bulk with the help of this software? Yes, you can easily migrate data from Thunderbird files to Outlook with the help of Thunderbird to Outlook in bulk. 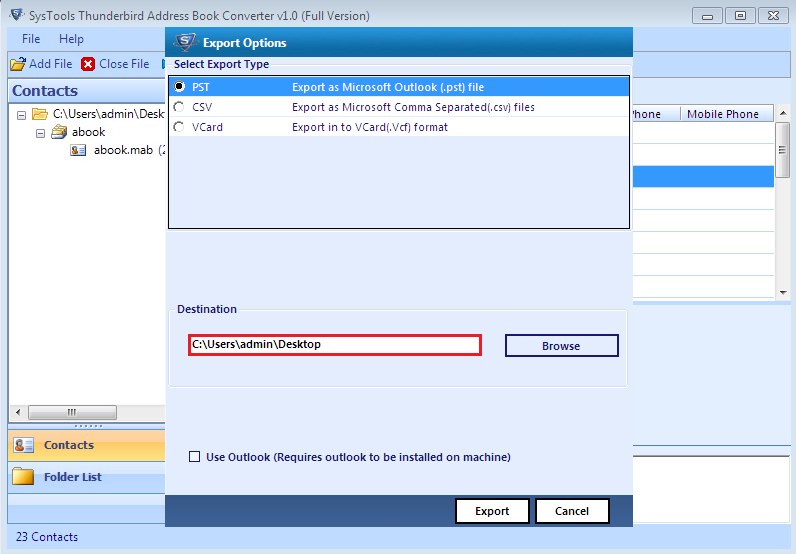 Does Thunderbird to Outlook Converter tool require installation of Outlook? No, Outlook installation is not mandatory for the conversion of Thunderbird files while using this software. Is this tool ensures the security of the Data? Yes, you need not to worry about the integrity of the data as Thunderbird to Outlook converter convert all your data safely.